The median home value in Syracuse, NY is $86,000 This is lower than the county median home value of $128,100. The national median home value is $185,800. The average price of homes sold in , is $. Approximately 32.81% of Syracuse homes are owned, compared to 52.32% rented, while 14.87% are vacant. 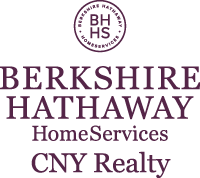 Syracuse real estate listings include condos, townhomes, and single family homes for sale. . Commercial properties are also available. If you see a property Syracuse real estate agent to arrange a tour today ! Welcome Home! Updated & Charming Bungalow style home located in the heart of Syracuse. You will feel at home from the moment you step onto the large covered front porch. Hardwood floors, beautiful woodwork, and a wood burning fireplace will great you as you enter. The kitchen has been fully updated and features a breakfast bar, study/work station, and room enough to make it an eat-in kitchen. There is also a large formal dining room! There are full bathrooms on each level that have been fully updated! The second floor features three large bedrooms. The master has a large walk in closet with a barn door & a second closet for additional storage! The backyard is fenced with a patio, ready for entertaining! Close to highways, shopping, and restaurants! Don't miss your chance to own this home! Cape Cod style home located on large corner lot and has detached 2 car garage. Home 1st floor features kitchen-has all new appliances, living room, bathroom and 1 bedroom and there is heated rear enclosed porch area. The 2nd floor has 2 bedrooms. Has full basement. Tremendous opportunity to own this updated home in the Onondaga Central School District for the price of many rents! The first floor of this home has a large LR/DR, an updated kitchen, two nicely sized bedrooms and a full bath. The 2nd level has one large open room which could be the perfect master BR! Full, dry basement with new glass block windows, attached garage door and the wheelchair ramp can stay or be removed depending on your needs. Updates include a new roof, furnace, windows and more. Act quickly, this market is crazy! Charming 3 bedroom colonial in the beautiful Outer Comstock neighborhood by Syracuse University and hospitals. Very convenient location to the university, hospitals and highways. This home has a beautiful layout with a family room and formal dining room. The backyard is great for entertaining with a covered patio looking out to the private yard. Hardwood floors throughout and updated vinyl windows. Very homey and cozy vibe, an overall beautiful and affordable place to call home. Adorable 3 bedroom cape cod in quiet Lyncourt neighborhood. Original hardwood floors, living room with wood burning fireplace, eat-in kitchen, good sized bedrooms. Basement has a bonus room that could be used as a 4th bedroom. Nice landscaping, great curb appeal! Attached 1 car garage leading to backyard. Fenced yard. New roof (2 years old! ), new bathtub, newer carpeting, new front stairs in 2016. Are you looking for an affordable home in a great Camillus location & part of West Genesee Schools? This house offers 3 bedrooms, 1 bathroom, a good size living room & a breakfast room off the kitchen. The third bedroom could be used as a dining room. The basement has additional finished space. The price reflects the need for updating but the potential is definitely worth it. Bring your vision & make this house a home! SIMPLY STUNNING ARTS & CRAFTS 2-STORY BUNGALOW! This Sedgwick treasure is bursting with charm of yesteryear while boasting conveniences of today! An utterly remarkable brick tiered (converted gas) fireplace in the living rm - flanked by built-in benches & updated windows to let sun shine in - will stop you in your tracks! Gorgeous hardwoods, original french doors to the formal dining rm & an open craftsman stairway with jaw-dropping pendant light add to the appeal. You'll find an updated open, airy kitchen with bonus den or office & powder rm on the 1st floor as well. Upstairs, an ample landing leads to 3 bdrms with several generous closets and a tasteful full bath with quaint storage nook. PLUS a MARVELOUS front porch, rear porch, walk-up basement & ideal yard extending to a 2-car garage! Beautiful freshly remodeled colonial with large back yard. This property is turn key ready to be your new home. Freshly updated kitchen, and many updates throughout. House allows excellent natural light! Formal dining room, and living room with fire place. BUILT in 1992 so you will not have to deal with inherent old house problems. Great for first time home buyer or investor that wants a turn key property. Maintenance free house for a few years as everything has been done. Low utility bills. New Paint, New Carpet and a new radon mitigation system all done in 2019. Fenced in yard with a deck great for grilling and summer gatherings. No neighbors to the rear of the house. Modern Layout with big bedrooms and bedrooms closets. Master bedroom has a bonus room off to the side of it. This property will not last long at this price! 4 car spaces in the driveway including garage parking. Welcome Home! This ranch features an open concept floor plan and is move in ready! Updates include new kitchen with white cabinets, stylish backsplash, full bath remodel, flooring, paint, first floor laundry, and much more! The park-like backyard is fully fenced and ready for your BBQ and lawn games! This home is near all major amenities including Wegmans, Highways, shopping, and restaurants & located in the Jamesville- Dewitt School District! Don't miss your opportunity to own this home! Stunning Brick Eastwood Colonial! This 3 Bed 1.5 Bath Curb Appeal Award Winner From 2015 Is Both Modern And Traditional! Has Been Cared For By Current Owner For Over 30 Years! Has So Many Features! The Moldings And Woodwork Are Stunning! Fireplace With Built In Book Shelves Rarely Seen!Newer Windows, New Roof, Newer Boiler, Beautiful Kitchen With Oak Cabinets! Granite! And Stainless Appliances! Attached Garage! Driveway Just Paved! Also This Home Has First And Second Floor Bonus Sitting Rooms! Beautiful! Walk Out To A Private Sitting Area On First Floor And Second Floor Has Skylight And Vaulted Ceilings! Lovely Bathrooms And Beautiful Hardwoods! This Home Sits In The Heart Of The Desirable Arlington District! Walk To CafÃ© Kubal Or The Eastwood Brewery! Sedgewick In Eastwood! Check It Out! Welcome to this Lovely Affordable Home in Eastwood! Wonderful Enclosed Porch Greets you as you enter - Great place to Relax. Spacious foyer, ample Living room and Formal Dining room, Bright Kitchen and 1/2 bath make up the first floor. The second floor has two bedrooms and a full bath. Newer windows. Centrally Located close to highways. There is also a full basement with newer H2o heater (1 year old), Furnace (3-4 years old) and Washer and Dryer (lots of storage space)! Central Air for those hot summer days. Partially fenced small backyard and a roomy Detached Garage! This Home has Everything you Need! Don't Miss it! DELAYED SHOWINGS until 4/24/19, 10AM. This spacious Bradford Hills Skeele-built raised ranch offers space, style, and synergy! The downstairs, boasting 2 beds, a full bath, and large family room with a fireplace and a wall of built-ins is perfect for gatherings or an in-law suite. Head upstairs to find a 2nd family room with fireplace, large eat-in kitchen, formal dining room, living room, 2 sunrooms, deck, 3 bedrooms, and 2 full baths. With 4000 SF of living space, there is plenty of room for everyone! The mature trees in the backyard offer privacy when enjoying the deck and sunrooms. Located only 1.7 miles from Syracuse University and area hospitals, this great home is also close to coffee shops, groceries, and many other amenities. Wonderful Eastside Executive Ranch! This 3 Bed 2.5 Bath Home Is Much Bigger Than It Seems! Many Newer Features! Newer Windows And Roof! Nice Clean Siding! Newer Garage Door! Has Nice Bedrooms With Large Master Suite! Big Open Great Room With Fireplace! Eat In Kitchen With Bonus Study Room And Family Room! Gas Forced Heat and Central Air! Basement Is Huge And Can Easily Be Finished! Lovely Area! Priced To Sell Fast! This great home features many updates and is located on a quit street . Currently being used as handicapped home with a wheel chair ramp, wide 32âdoor ways, a walk-in shower and no steps on the first floor. First floor has a master bedroom with half bath and a full bath with oversized tub. Very large Open living room/dining room combo. Covered front porch. Two bedrooms on the second floor and a full bathroom that is completely new. Basement walls have been parged and sealed. Newer furnace, Central Air, and Windows for your comfort. Entire inside of the house is painted. Fully fenced in yard.